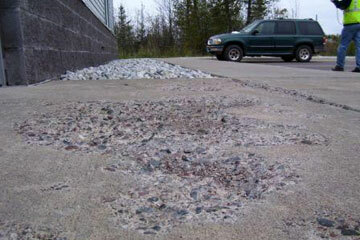 Sealerman Waterproofing provides concrete restoration services that include sidewalk repair, cement repair, cement patio repair, parking lot repair, garage floor repair, cement deck repair, concrete crack repair, floor sealing etc. No Environmental Impact - Green! We can save you on the cost of replacing your concrete. We are a locally owned and family operated company.